Los Angeles (AFP) - Cleveland Browns running back Kareem Hunt has been suspended for the first eight games of the 2019 NFL season following an investigation into his alleged assault of a woman, the league said Friday. An NFL statement said Hunt had been banned for violating the league's personal conduct policy in connection with incidents in February and June last year. 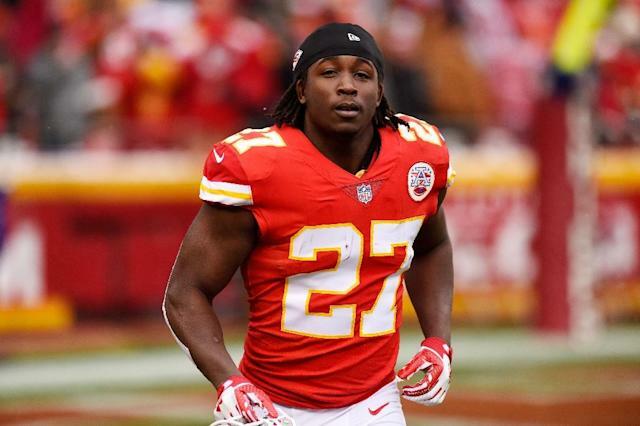 Hunt, regarded as one of the best running backs in the NFL, was released by the Kansas City Chiefs last November after the emergence of video in which he appeared to shove and kick a woman. Hunt, who was never charged by police over the altercation, was placed on the NFL Commissioner's exempt list shortly afterwards, effectively leaving him suspended pending the outcome of the league investigation. Cleveland signed Hunt last month despite the possibility he may be suspended over the incident. A statement from the league said Hunt had been suspended after an extensive investigation which included a review of police records, video and electronic communications and interviews with Hunt and multiple witnesses. The NFL said Hunt had accepted responsibility for his conduct and would not appeal the sanction.